The Municipal Portfolio Performance (MPP) and Policy Opportunities Project (#1532-1511) aims to develop new methods and technical tools that streamline the deployment of high impact, data-driven energy efficiency programs for small and medium-sized municipalities to reduce operating costs, emissions, and energy-use. The project team consists of industry leaders across policy, building science, and software domains and includes the New Buildings Institute, Northwest Energy Efficiency Alliance (NEEA), Maalka, Integral Group, and EcoEdge. The project is funded by NEEA and the Department of Energy Office of Energy Efficiency and Renewable Energy. Over the course of the 3-year program, a variety of open-source tools will be made available to the public to cost-effectively deploy data-driven energy efficiency programs. The tools are developed by Maalka through an agile process guided by engagements with the broader MPP team and the cities of Providence, RI and Eugene, OR. User-guides for each of the open-source tools released under the MPP project will be made available and the tools will also be available on the Maalka platform to enable streamlined workflows that integrate processes related to data collection, validation, analysis, visualization, and reporting. Maalka builds technologies that streamline building energy efficiency programs of any scale to maximize impacts and minimize cost. Working with cities and states across the United States, Maalka has developed an award-winning platform that integrates data collection, validation, analysis, visualization, reporting, and outreach. With Maalka, programs can engage program leaders, building owners, managers, and service providers with customizable data-driven insights to accelerate progress towards energy-use and carbon reduction goals. NEW BUILDINGS INSTITUTE (NBI): NBI is a nonprofit organization driving better energy performance in commercial buildings. NBI works collaboratively with industry market players—governments, utilities, energy efficiency advocates and building professionals—to promote advanced design practices, innovative technologies, public policies and programs that improve energy efficiency. NBI also develops and offers guidance and tools to support the design and construction of energy efficient buildings. ALLIANCE (NEEA): The Northwest Energy Efficiency Alliance (NEEA) is an alliance of more than 140 Northwest utilities and energy efficiency organizations working on behalf of more than 13 million energy consumers. Through collaboration and pooling of resources, the region’s utilities and stakeholders have harnessed their collective influence to drive market adoption of energy efficiency products, services and practices for the benefit of utilities, consumers and the region. ECOEDGE: Ecoedge provides green building consulting and education across Idaho, the Pacific Northwest and beyond. They work with award-winning builders, developers, architects, and owners to design, build, and operate homes that are healthier, more durable, more efficient, and have less impact on our environment. Their goal is to help identify the most cutting edge strategies to achieve the best return on investment for new construction or renovation in the region. INTEGRAL GROUP: Integral Group is a Deep Green engineering firm that seeks to create affordable, environmentally responsive, and sustainable designs by combining deep technical engineering expertise with strong analytical and policy experience. Integral Group has designed a significant number of high performance and net-zero energy buildings, and brings technical and analytical expertise to the team to support energy performance modeling and sensitivity analysis in the project. These three open source Tools were created by Maalka and its partners to help the public engage with energy efficiency programs around the country. Click the buttons below to learn more about each project. The Municipal Portfolio Performance (MPP) Data Quality Tool is the first of a series of open-source tools developed by Maalka for municipalities to cost-effectively deploy high impact, data-driven energy efficiency programs. The Data Validation Tool allows municipalities to easily import their EPA Portfolio Manager data and automatically identify data anomalies across their building portfolio. Cities may use the tool as a first step to improving data quality before engaging in timely data analysis. The data validation follows observed best practices by cities across the country and flags possible errors in data related to building characteristics, operations, and energy-use. This tool offers municipalities and energy service providers a transparent, cost-effective approach to collecting and structuring building energy audit data in a standardized way. The Building Life Cycle Tool guides users in the collection of the most relevant building information that can be used to assess strategies for upgrading the building to run more efficiently. Users are guided by a dynamic survey for collecting data on the most important building Systems (e.g. HVAC, Ventilation, Lighting Systems) and relevant Measures (e.g. Boiler Improvements, Lighting Upgrades). 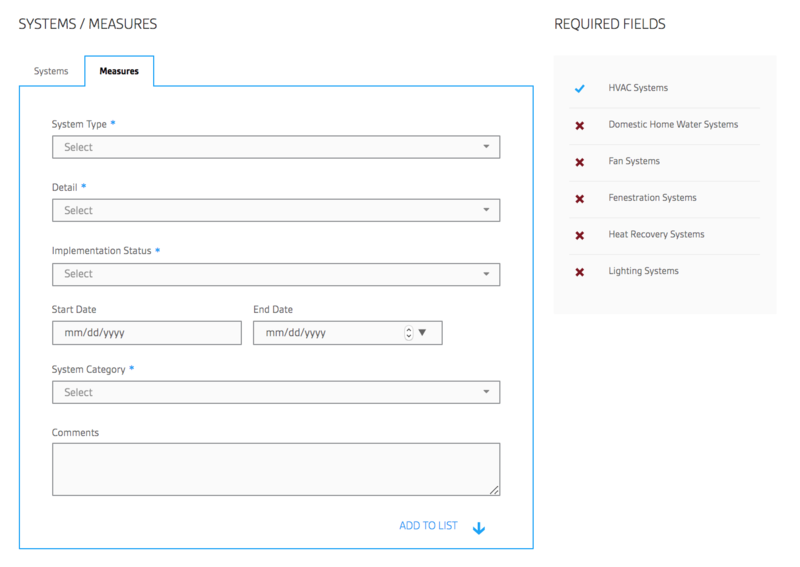 In this way, users can follow a standardized approach for collecting initial Building Audit data, as each system and measure is defined by a set of associated, standardized fields. Cities across the country are beginning to explore ways to improve the energy efficiency of their building portfolios. The process of identifying specific improvement strategies can be long and confusing, spanning multiple levels of analysis. 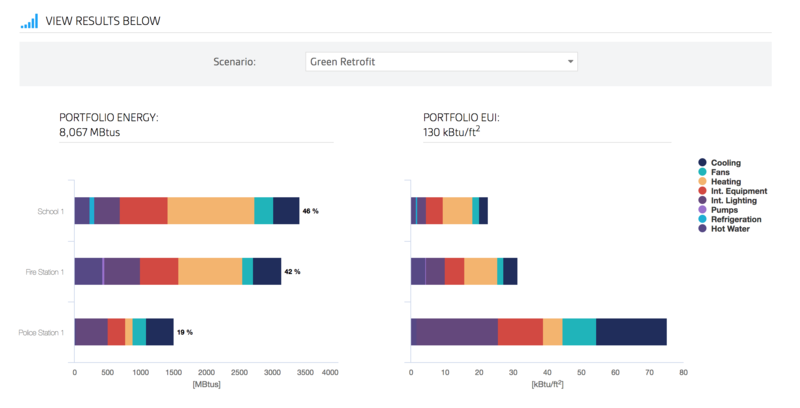 The Portfolio Codes Assessment tool was designed to be the first step, by enabling municipalities to conduct a quick, simple analysis to understand the typical breakdown of energy end-uses for their buildings and the impact that different tiers of investment strategies may have on their overall energy-use and efficiency.